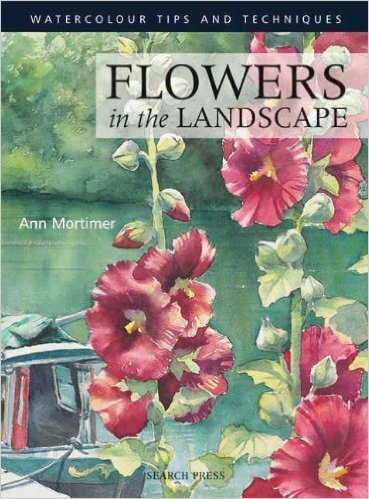 Just getting paintings, prints and cards together for the upcoming Society of Floral Painters Exhibition next week. See poster. 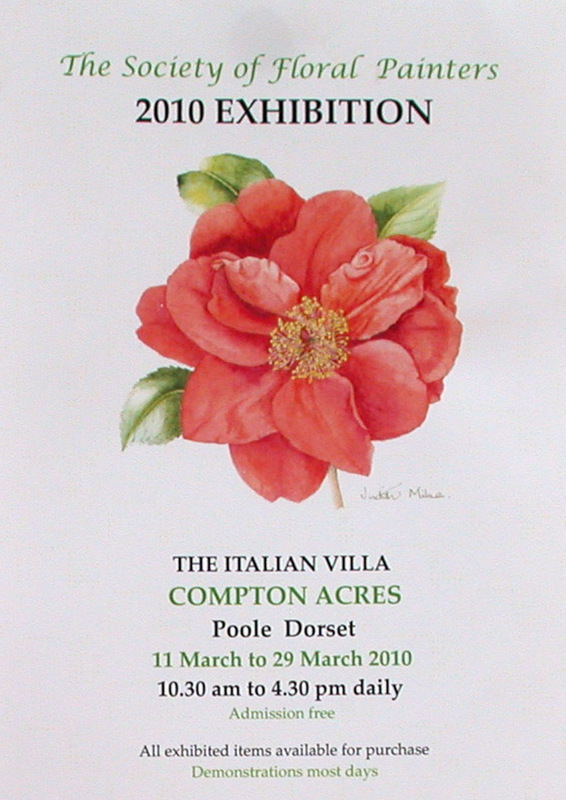 Compton acres is a lovely venue on the South coast at Poole. Some very wonderful talented artists exhibiting. 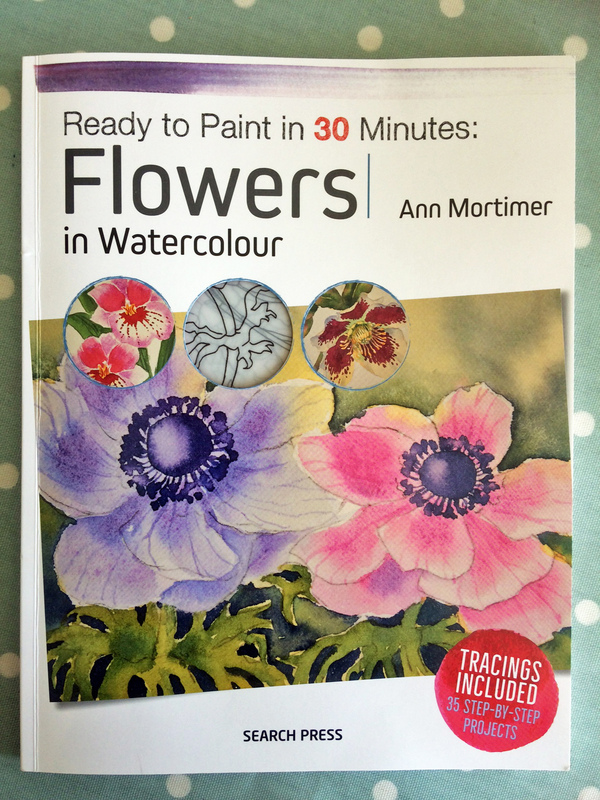 I’m all anemonied out this morning! We had a good workshop yesterday. Feedback included words such as “intense” and “stretched”. Not surprising as they had a sketch book page of studies and a nearly completed painting to show for it. They did SO well. My students know that they wont get an easy ride! But they do keep coming back. Hopefully lunch and a glass of wine and even hot cross buns at coffee time will have softened the blow. As long as learning is taking place and questions are being asked and problems solved, I am happy. 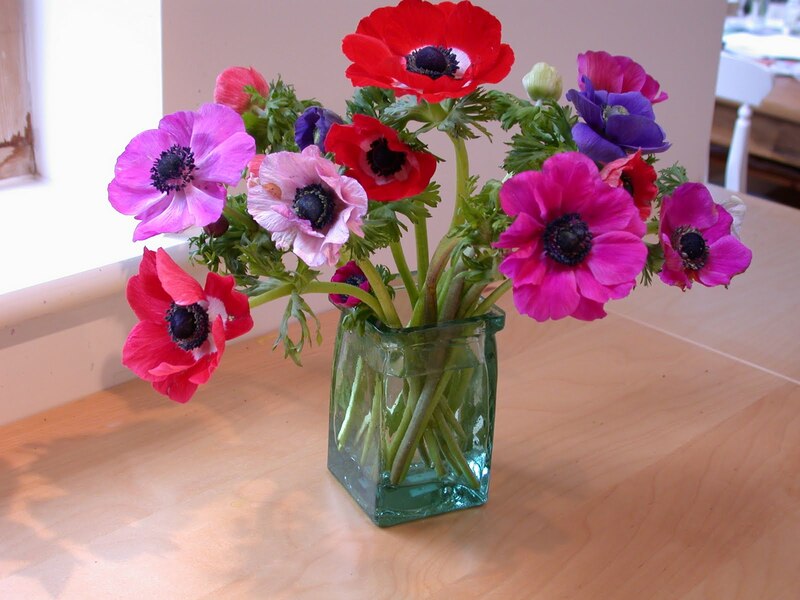 Colourful Anemones. Creating a painting. 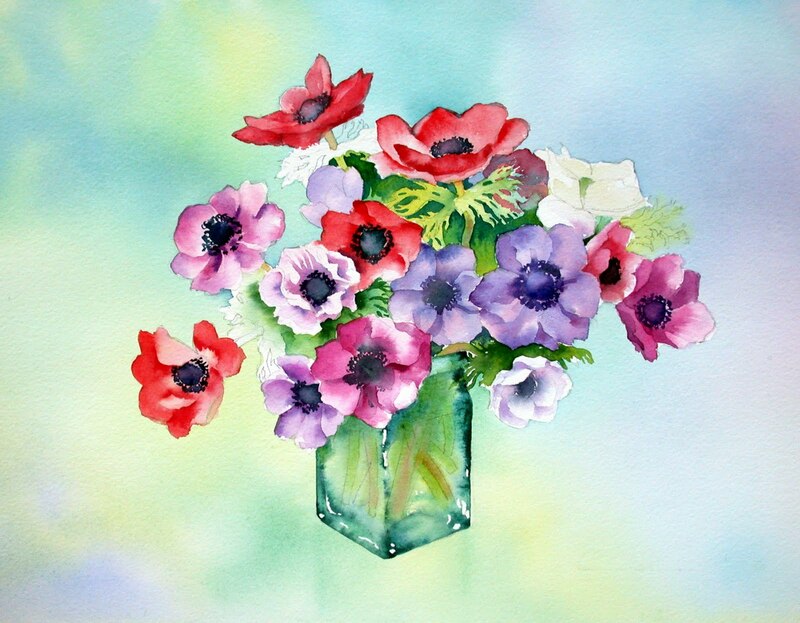 In the depths of a very long, cold winter this year, I was inspired by the warm colours of this vase of anemones. 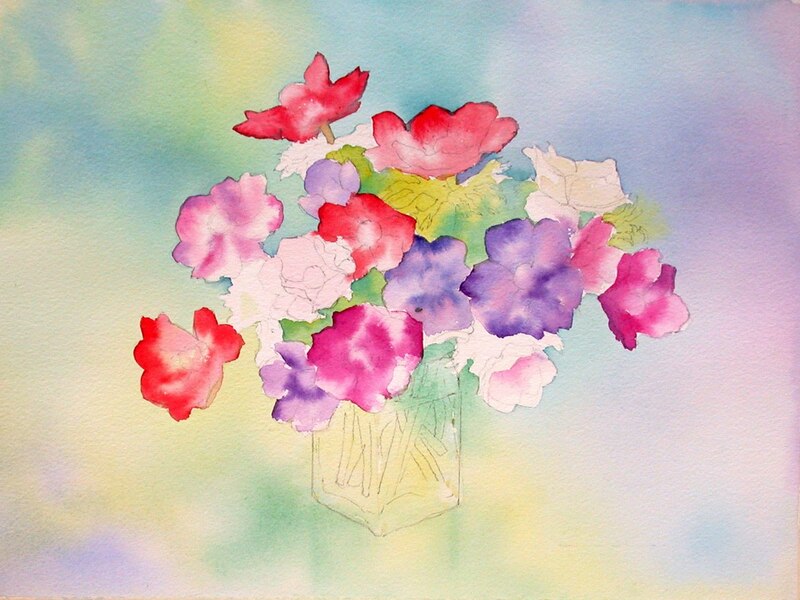 I had painted them last year and while I had these precious flowers in my studio I made sure I took lots of photos of them for future reference. Author AnnPosted on 4. March 2010 19. 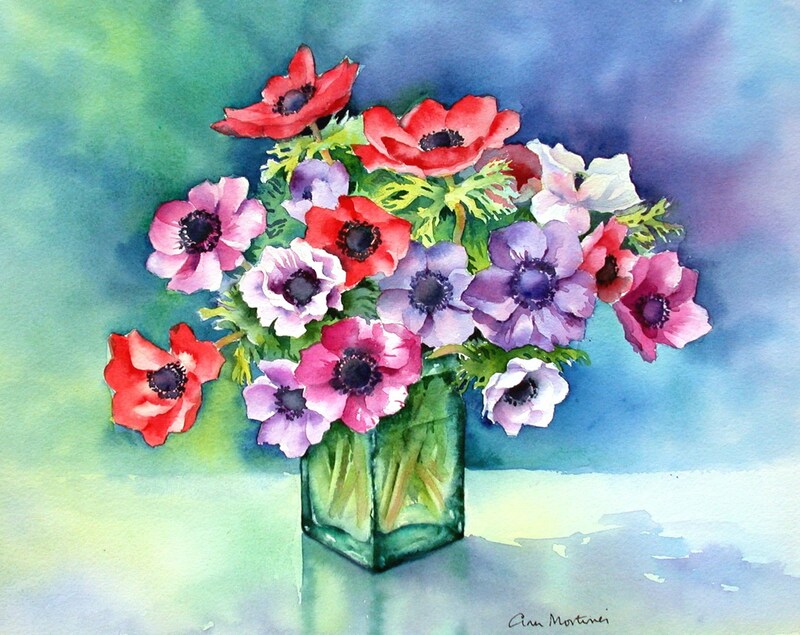 June 2016 Leave a comment on Colourful Anemones. Creating a painting. 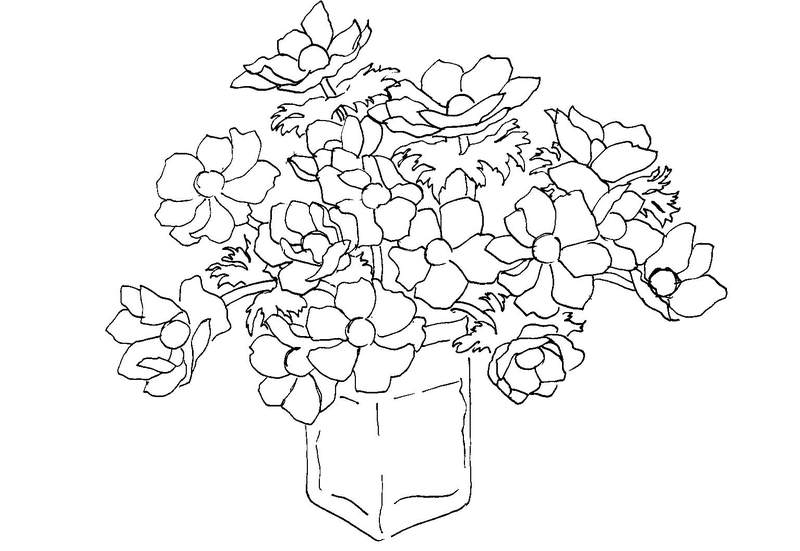 Here is the design I created from looking at a combination of the photos I had taken of my flowers. Click on “older posts” for next stage. 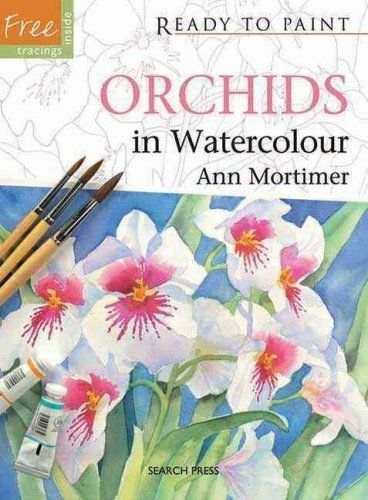 The design was carefully drawn on to watercolour paper and then some flowers were covered with masking fluid to protect them from the background wash. The paper was wetted around the design and colours were dropped in and allowed to spread. 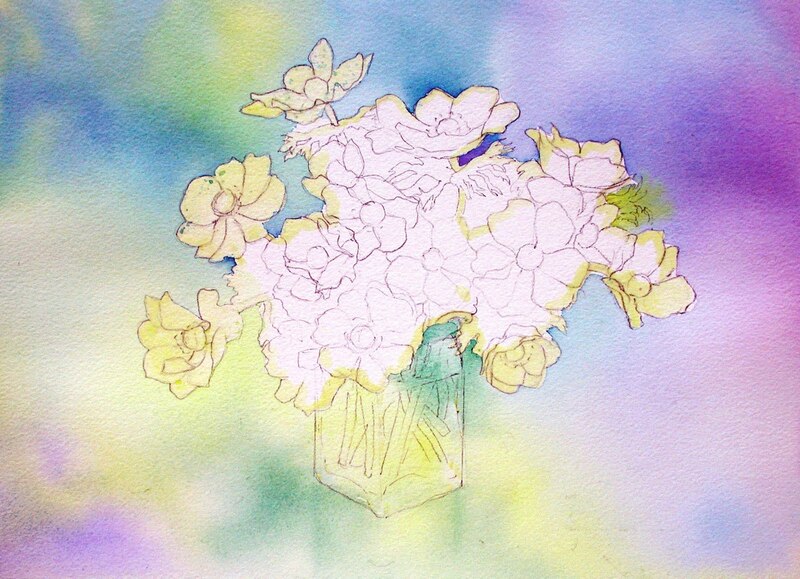 I used aureolin, cobalt blue, winsor blue, winsor violet, viridian and cerulean. This was was allowed to dry completely. Click on “older posts” for next stage. 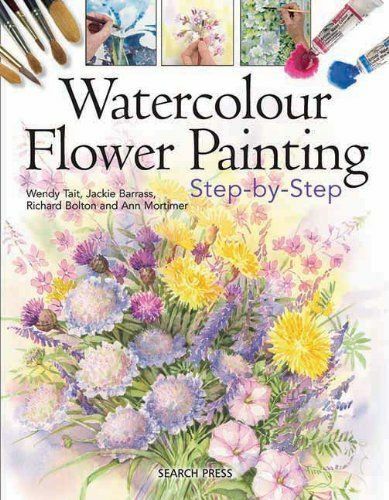 A first wash of colour has been laid over the flowers, dropping the colours into a layer of water to soften the effect and to preserve light on the petals.